A family-friendly 'takeover' event at Aberdeen Science Centre will be among a host of activities to be held in the city over the coming weeks in an annual celebration of the chemical sciences. 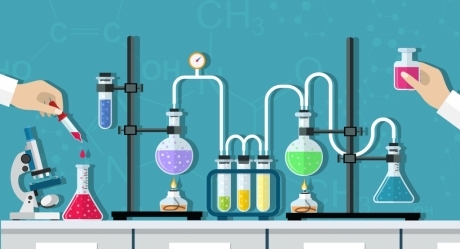 The city’s two universities are teaming up with the science centre for Chemistry Week, an initiative organised by the Royal Society of Chemistry (RSC) where society members organise activities that promote chemical sciences to the public. Activities get underway on Saturday (November 24) with the science centre takeover allowing families to try their hands at real chemistry, with exciting experiments including the chance to make a volcano, and a spectacular ‘flashes and bangs’ show. No booking is required for the event, which takes place from 10am to 4pm. On Wednesday (November 28th) school teams from across the north of Scotland will compete in ‘Top of the Bench’, a hands-on experimental challenge taking place at the University of Aberdeen. This is followed by a lecture taking place at RGU on Monday, December 3rd, where local schoolchildren will hear from Dr Peter Hoare from the University of Newcastle, who will lead a discussion on ‘Colourful Chemistry’. The schools engagement activity will culminate on Monday, December 17, with a ‘flashes and bangs’ event at the University of Aberdeen led by Dr Alan McCue, that will include demonstrations such as the ‘screaming jelly baby’, test-tube fireworks, reactive gases and an unusual oscillating colour change reaction. Professor Marcel Jaspars from the University of Aberdeen is among the team from the RSC’s Aberdeen and North Scotland section who have helped organise activities. Dr Graeme Kay, from RGU’s School of Pharmacy and Life Sciences, commented: “It is always a pleasure to work with our colleagues across the city to promote Chemistry to young people in the community.